Mumbai: After a familiar poor start to their Indian Premier League campaign, Mumbai Indians have found a bit of momentum before they run into Kings XI Punjab at Wankhede stadium here on Wednesday. The Rohit Sharma led side suddenly look full of energy after inclusion of Alzari Joseph and Jason Behnrendorff in the playing XI. Ishan Kishan replacing Yuvraj Singh in the previous match added more youthful energy in the side. Joseph had best ever IPL figures of 6/12 on his debut against Sunrisers Hyderabad. Behnrendorff also started well in his debut game against Chennai Super Kings here, picking three scalps in two games so far. The foreign duo have released a bit of pressure on premier pacer Jasprit Bumrah. With Hardik Pandya also bowling well, the hosts look a potent pace attack but haven’t found a reliable slow bowler yet. The Rohit Sharma led side have won two games on the trot and have six points from five games. Top order however remains a problem, as Quinton de Kock and Rohit have been inconsistent. With wicketkeeper Kishan in the mix Mumbai may have a look at West Indian opener Evin Lewis in place of De Kock. The hosts however have destructive middle order in Pandya brothers Hardik and Krunal and West Indian biggie Kieron Pollard. Both Hardik and Pollard have been in the zone and have been the reason behind Mumbai’s last two wins. Incidentally both sides are meeting after scoring away wins over Sunrisers Hyderabad. 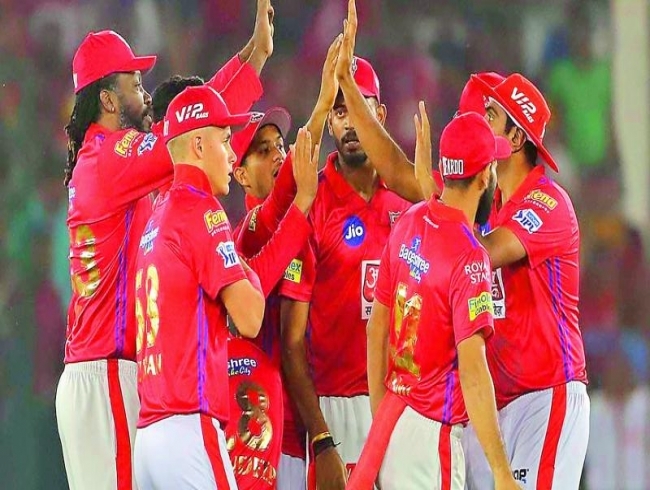 Prior to that they both met Chennai Super Kings and while MI beat them comprehensively at home, Kings XI squandered a chance to upset CSK at home after messing up the chase despite wickets in hand. Kings XI won by eight wickets at home when both sides met earlier in the campaign and now MI will be keen to set the record straight. Despite a couple of hiccups Punjab led by Ravichandran Ashwin have been good so far registering four wins in six games. They have two destructive openers in Chris Gayle and KL Rahul. Mayank Agarwal has been in good touch with experienced David Miller in the middle-order to make good use of starts. Local boy Sarfaraz Khan has finally found some consistency in the IPL and he will be keen to perform again in front of his family. Visitors pacers Mohammad Shami, Sam Curran and Andrew Tye will relish the conditions here if they hit the right areas. The ball moved a bit initially in the previous game here and batsmen have to find a way to counter it if it swings again. Spinners Ashwin and Mujeeb ur Rehman can be more handful here.